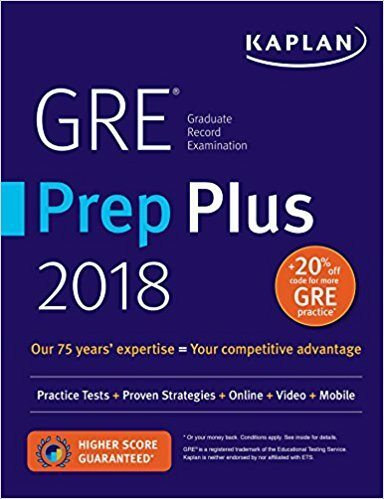 It becomes a very hard time trying to find the best GRE prep book solution for your personal situation. 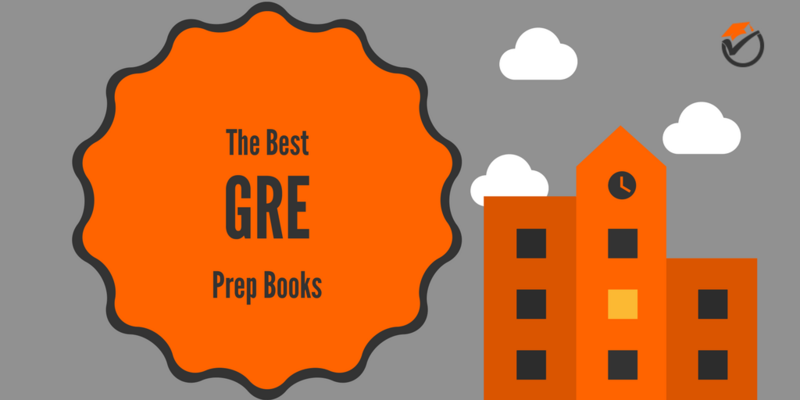 The GRE has many different options for review guides, from multibook guides to single book solutions. The GRE is a very difficult exam and has an absolutely huge say on your graduate school future. 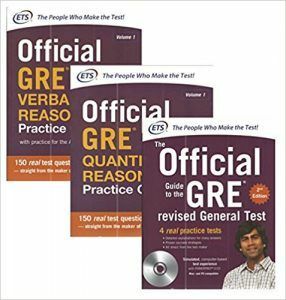 Because of these reasons I have created this list of the best GRE prep books. All of the info below should make it very easy to choose which study guide bundle or single book solution is right for you and your future. The Manhattan Prep GRE Strategy Guides are our top pick review book bundle on our list of the top rated GRE prep books. These guides more in-depth and comprehensive than any other group of study books on our list. Because of this, on exam day you don't have to worry about being surprised with topics that you have not studied for. In all, there are a total of 8 review books, which can be bought individually or together. Because there are 8 individual books, you don't have to worry about carrying around a 10 pound behemoth when you only plan to study a couple of chapters in between classes. A weight, literally, lifted off of your shoulders. The study guides also have a more natural organization and flow to them. This natural organization and flow will make it a lot easier to study for longer durations, giving you a higher score on the test. Along with the strategy guides, you also get access to 6 section-adaptive online practice exams and one year of access to online back-up materials. This gives you plenty of extra material if you somehow finished these books wanting more. Also of note: you receive access to the 6 practice tests by purchasing just 1 prep book, not just the group of 8 together. This will allow some great savings if you only have one or two problem areas (saving you money for that hefty exam fee). One issue with this group of review books is that they are heavily biased towards math. Half of the review guides are based on math topics. If you are poor at math, this may be the study guide for you. However, if you do not need help at math, you may just buy the non-math guides separately. 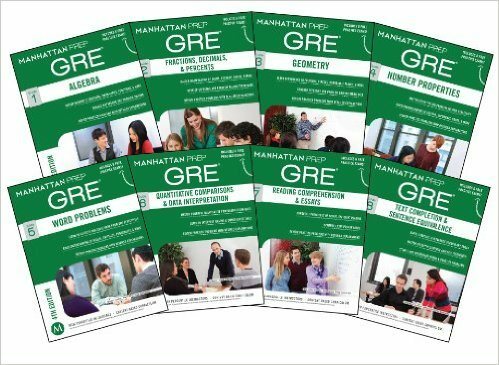 Compared to the other study guides, the Manhattan Prep GRE Study Guides are the most detailed and exhaustive study materials offered. Because of this, they are our top pick on our list of the best GRE study guides. The Official GRE Super Power Pack is a pack of 3 study guides that review the individual sections of the test. These are the only review books that are officially sponsored by the writers of the exam. Because of this fact, these guides contain authentic test questions that are comparable to the difficulty of the actual exam. You won't be pulling your hair out in frustration on exam day because your prep book dumbed down its example questions. One main caveat is that if you are planning on using the ebook version: stay away. It is poorly edited, causing you angst from the difficulty of trotting through it. Since these books are not as comprehensive as Manhattan Prep's guides, some minor topics are left out. But the good thing is that these are few and far between. The Official GRE Super Power Pack is the best bang for your buck if you are looking for an official study guide for the exam. 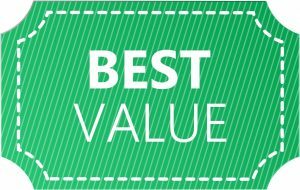 That is why they are given our best value award for GRE review books. 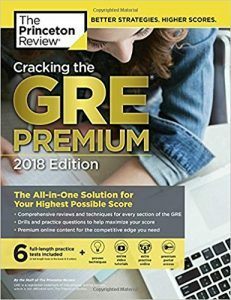 Cracking the GRE Premium Edition is a single book study guide that covers all of the sections of the exam. 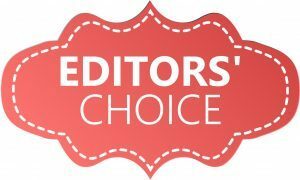 Since the guide is an all in one book, it is not as detailed or in-depth as our top two best review book choices. But it does provide a concise overview of the topics. This concise overview can save you time studying if you are not looking for a perfect score. Compared to other study books, this guide focuses less on math and more on the verbal portion of the test. This can be a benefit for math and engineering undergrads. But for everyone else, it is most likely a flaw. Another issue with the review guide is that some of the practice questions are not as high of difficulty as what you will see on exam day. This can be an issue because you are not practicing at the edge of your ability, which can help you to raise your score a lot faster. Cracking the GRE Premium Edition is a good alternative if you are looking for the best GRE study book for verbal sections of the test. That is why we have ranked this prep book as the 3rd best overall. Kaplan GRE Prep Plus is another a single book study guide that covers all of the individual sections of the exam. This prep book is very comparable to Princeton Review above, but focuses a lot more on the math sections of the test. Perfect for those non-math and non-engineering undergrads since they have not taken many math courses. Compared to other prep books, this guide focuses a lot more on test taking strategy to maximize your efficiency on test day. Having these skills will give you more confidence on the day of the exam, relieving your nerves and allowing you to get a higher score. Kaplan has also included something called "Smart Reports". "Smart Reports" help you to find which sections of the test are your weakest. This allows you to focus your studying efforts on your weakest links, efficiently bringing up your test score. The main flaw with Kaplan's is that the example questions are less exam-like than other study guides on this list. You may be in for a surprise on exam day when some test questions are not of the same difficulty as the examples provided in the book. 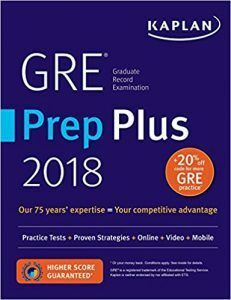 Kaplan GRE Prep Plus is a good test review alternative if you are looking for the best prep book for math sections of the exam and includes lots of extra online resources. We have ranked Kaplan's as our 4th best overall prep book on our list of the top GRE review guides. 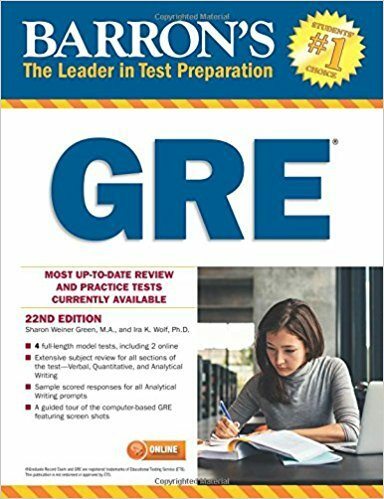 Barron's GRE is our final pick for our list of the best GRE prep books. 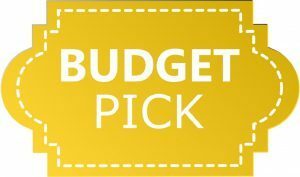 This review book is the most budget friendly option of the books on this list (saving you some money so that you can splurge on some Starbucks during that late night study session). Compared to other prep books, this guide is still a little stuck in the past. For example, it gives a large list of vocabulary to memorize for the exam like older guides. Many books based on the old test used to do this because older exams stressed knowing vocabulary. For the new test, this is not longer needed. The practice exam questions are close in similarity to those that you will find on the actual exam. Because of this, you will not be shocked on exam day with questions that you have not seen before. Barron's is a decent prep book alternative if you are on a student's budget. If you are looking for a respectable and frugal option, this is study guide your best bet. That is why we have awarded it our budget pick on our list of the best books to prepare for the GRE. Buy a single book, full test study guide and once you finish the book, take a diagnostic test and figure out your weaknesses. After this, purchase the corresponding Manhattan Prep Strategy Guides that go with your weaknesses. For the cheapest solution: purchase either Princeton Review (for verbal) or Kaplan's (for math) and the Manhattan Prep Strategy Guides for your flaws. This will give you a full test overview, in-depth help on your weaknesses and 12 full length practice tests.